The Verilux� HappyLite� Deluxe provides the level of energizing light that the National Institute of Mental Health recommends, to activate your body�s own natural mood enhancers - 10,000 lux! Helps establish and maintain regular circadian, sleep/wake cycle. (includes bulbs). 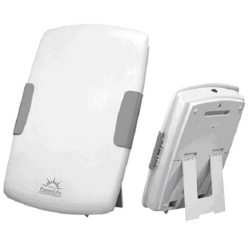 19.5" h x 13.25" w x 4" d.
Commonly used for alleviating symptoms associated with Seasonal Affective Disorder (S.A.D., winter depression), jet lag, shift work fatigue, seasonal change, and insomnia, the Verilux� HappyLite� Deluxe provides that daily �dose� of sunshine you're looking for to boost your body�s sense of well-being, alertness and energy. Innovators in full spectrum lighting technology since 1956, Verilux� backs each HappyLite� Sunshine Supplement Deluxe Light System with a 1-year limited warranty. Disclaimer: Verilux, Inc. does not make any medical claims. 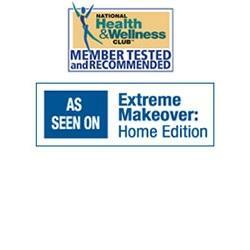 These units are designed as lifestyle enhancement systems. They are not medical devices. Please consult a qualified physician before using a bright light system.